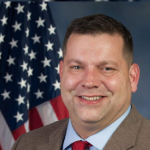 Virginia Democrats in the congressional district that includes Charlottesville and Danville have picked a former journalist to face incumbent GOP Rep. Tom Garrett in the general election. Democrats finished a week-long caucus Saturday by picking Leslie Cockburn the unofficial winner. She previously worked for 60 Minutes and Vanity Fair and beat out Roger Dean Huffstetler, a former Marine, and Andrew Sneathern, a former prosecutor. Cockburn’s victory will be made official at convention next month in Farmville. Cockburn said her opposition to President Donald Trump helped inspire her to run for office. Trump won Virginia’s 5th congressional district in the 2016 election. Garrett is a former state senator seeking a second term in Congress.